Why Are Good Sleeping Habits Important For A Great Career? Research proves that working while sleep deprived is a surefire way to reduce productivity and increase accidents and errors. So if you have a good sleep routine give yourself a pat on the back! Our Health columnist, Renée Leonard-Stainton discusses how sleep habits, whether good or bad, affect your career. 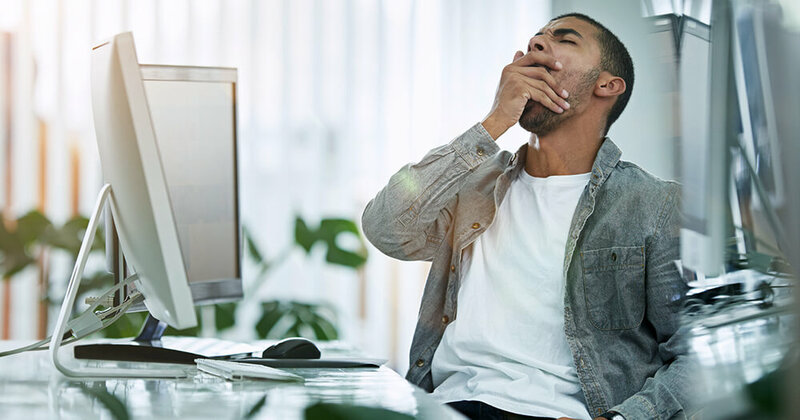 You’re feeling sleepy at work and the temptation to reach for another cup of coffee and a few biscuits for a quick shot of energy is too great. Later you may skip the gym and pick up takeout on your way home, as you’re just too shattered to cook. When you finally flop yourself into your bed, you’re too wound up with work worries and sugars or caffeine to sleep. Does this sound familiar? It’s a vicious cycle, and eventually this sleep deprivation can sabotage your career goals and your health. Sleep is absolutely essential to both the body and mind, as impaired sleep, altered sleep patterns, and sleep deprivation can severely disrupt mental and physical function. When it comes to staying on top of your game, career-wise, good sleep is imperative. Without it focus can become fuzzy, drive is less apparent, mistakes are made and performance can easily wane. To get ahead in your career, it can often be tempting to work late and sacrifice sleep. For many, the work-related stress actually impairs sleep quality, leading to insomnia or fitful sleeps. Let’s firstly have a look at how much sleep you should be having, and then we’ll explore some ways to ensure a sound and restorative sleep. It’s often debated, but exactly how much sleep an individual needs does vary from person to person. An adult needs on average, a minimum of 7- 9 hours per night. Women actually tend to need a little more sleep than men. When we don’t sleep enough, cortisol (our ‘stress’ hormone) levels rise. Cortisol is the primary stress-response hormone produced by the adrenal glands. It is highly energising. High cortisol levels exacerbates anxiety and insomnia. If levels are too high, you’ll likely feel wired, tense and hyper-vigilant. Raised cortisol also creates an imbalance in insulin and blood-sugar levels, often causing us to crave (and consume) more sugar and caffeine. A vicious cycle indeed! Where do sleep problems arise from? Sleep problems can arise from a multitude of causes, from physical, environmental, chemical imbalances, poor food and drinks choices to drugs and so on. Sleep deprivation can be voluntary (staying up late intentionally to finish off that important presentation) or involuntary (sleep disorders). 1. Try to stay in a routine with the times you go to bed. This helps train the body to be ready for sleep, so it is a good habit to get into if you suffer from insomnia. 2. 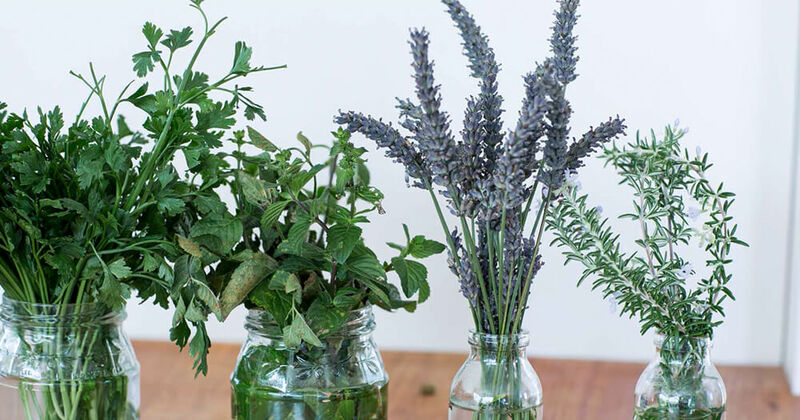 Consider herbal medicine to help calm your nervous system in preparation for a good night’s sleep. Chamomile, Passionflower, Lemon Balm and Lavender are all good herbs for assisting relaxation and sleep. They can be taken in tea form, or speak to a Naturopath about prescribing you a herbal tonic containing a combination of these herbs. You can also sleep with some hand-picked lavender under your pillow to help to encourage a deep sleep. 3. Consider taking a nutritional supplement of magnesium. It will help calm your nervous system and help your body’s daily response to stress. 4. Avoid caffeine (tea, coffee, cola, dark chocolate) and sugary treats after 3pm. That fifth cup of coffee or helping to the lunchroom biscuit jar at 3 p.m. could make the difference between a peaceful night’s sleep and tossing and turning! 5. Avoid watching TV, working on your computer, or phone or reading a kindle, at least one hour before bed (expect it to take a few days at least to break the habit!). The light on these devices impairs melatonin production, which is a hormone that helps you fall asleep. Wind down instead by reading (a paper book) or meditating. Quieting your mind is a great way to unwind and relax your body before hitting the sack. Do anything to keep your mind from wandering into the depths of work stress or negative self-talk. 6. Make sure your room is well ventilated and at a comfortable temperature. 7. Sleep only an hour longer during the weekend than your latest weekday wake-up time. Again, routine is the key when it comes to establishing healthy sleep habits. 8. Take a warm, relaxing bath. For further relaxation, throw some calming essential oils in such as lavender, ylang ylang and Roman chamomile. Exercising regularly can help you to get better quality sleep (deeper sleep and less interruptions throughout the night). Even a 30-minute walk around the block can make a huge impact on your rest, but don’t expect results overnight as regular exercise is the key. A lack of sleep impairs your brain function across the board. It slows your ability to process information and problem solve, dampens your creativity, and catapults your stress levels and emotional reactivity. While at the time it seems like a good solution to charging through your workload, pushing late into the night is a health and productivity killer. The short-term productivity gains from skipping sleep to work are quickly dissolved by the detrimental effects of sleep deprivation on your mood, ability to focus, and access to higher-level brain functions for days to come. Learn what other apps, gadgets and tools you can use to help increase your productivity here. From a holistic perspective, when it comes to improving personal performance and concentration in the workplace, one of the first things that should be addressed is a person’s sleeping habits. If they are out of balance your body is running an uphill battle if it can’t repair, rebuild and rejuvenate with some good quality sleep! The less sleep you get, the more stress will affect you, the more your immune system will weaken, and the greater your chance of getting sick and having to miss days of work. Prioritising good sleep in life can help to make you a very happy camper at work. Remember, a car cannot run without fuel, and your brain cannot (and will not) function properly without proper sleep. A great career requires a fully functioning brain!